My Great TV Turnoff started yesterday, and it went well overall. After a very long day at work, I ran some errands and headed home, looking forward to lounging on the couch in front of Friends reruns and then doing some cleaning up before Heroes. But by the time I got home I’d remembered that the TV is off limits (mostly) this week. So, I cooked dinner and ate it in silence. Feeling exhausted, I abandoned ideas of a clean office and sparkling dishes for the couch and a good book. I lay down under my front windows, opened wide, and enjoyed the late evening breeze and the last bits of sunlight. When the sun had almost set, I found my way to the computer, did some blog-walking and checked my email. After an hour, I was so tired that sitting up seemed to be an effort. I shut down Windows, put my laptop back in its resting position and curled up on my bed with my book until 9:00. I admit, my TV Turnoff commitments couldn’t overpower my desires to see the first new episode of Heroes since March 5th. But I turned it on at 9:00 sharp and turned it off as soon as next week’s previews were over. The only other TV I’ll be watching this week is Lost on Wednesday night. I figure two hours is much better than the several hours a week I usually have the television on, even if I’m not watching it. And just think, not only am I saving precious brain cells from atrophy, but I’m also going a bit greener by using less electricity. This afternoon I made my weekly trip the grocery store to buy fruits and veggies, some milk and bread. I can never stick to the perimeter of the store, like all the health magazines I read suggest. So as I wandered through the aisles, I passed an end-cap stacked high with cases of Coke products on sale. I glance their way and had almost passed them, when I stopped my cart (or buggy if you prefer) abruptly and backed up, almost running over a tiny lady with an armful of cereal boxes. I apologized profusely and then turned my attention back to the item that had halted me. "Diet Coke *plus," the box said, the "plus" spelled out in pretty rainbow letters. Now, I'm a big Diet Coke fan, so I of course read on. It turns out that the newest Diet Coke incarnation contains vitamins B3, B6, and B12, plus zinc and magnesium. Does anyone else find this a bit confusing? "Consumers, including Diet Coke drinkers, are increasingly looking for more beverage options, and we wanted to offer them the convenience of a calorie-free beverage that is a good source of several essential vitamins and minerals, and one that delivers on the great taste that they have come to expect from us." By good source, Ms. Bayne means that an 8-oz. serving of Diet Coke Plus provides 15% of the Recommended Daily Allowance (RDA) of the B vitamins mentioned above, and 10% of the RDA of zinc and magnesium. I'm not impressed. Yes, most of us could stand to increase our vitamin and mineral intake. And yes, many soda drinkers have other unhealthy habits that keep them from getting the Recommended Daily Allowance (RDA) of most vitamins and minerals. So why not help them out by adding some nutrition to their Diet Coke, right? But I'm not convinced that "fortifying" soda, which is otherwise nutrition-less, is a good idea. I think that touting Diet Coke Plus as a "good source" of vitamins and minerals will give consumers a false sense of the health benefits of drinking the product. Yes, drinking several cans of Diet Coke Plus a day is probably better than drinking the same number of cans of regular Diet Coke or other diet soda, if you're not getting your vitamins from elsewhere. But honestly, I think it's just another poor imitation of nutritious. It's one thing to fortify our cereals, which tend to contain other healthy ingredients like fiber, but adding vitamins to soda? I just don't get it. Then again, a lot of people buy Vitamin Water, and that's the same thing--vitamins and minerals added to water, a basically nutrition-less beverage. But water doesn't start out with added colors, natural flavors, preservatives, and caffeine like many sodas, including Diet Coke. So, while I'll continue to drink the occasional Diet Coke, I doubt I'll be picking up a Diet Coke Plus anytime soon. I'd rather get my vitamins and minerals from the place nature intended – a good old-fashioned multi-vitamin. National TV Turnoff Week is coming up (April 23–29) and I'm actually looking forward to it this year, unlike last year's resistance. Since I committed to writing more each week, I've been watching less TV anyway. But I can always use an excuse to turn off the tube and hit the sheets a bit earlier. I might get a few more writing projects done, too, which would be an excellent side effect. Who knows? I might be so productive that I decide to leave the thing off. I'm not sure that's realistic, but I do have to wonder how much more writing, reading, cleaning, sleeping, and just plain living I'd do if I didn't own a television. Last weekend I was flipping channels and got caught up in an infomercial for these. I've seen it before. And everytime I watch I think, "Man, I could use those." I mean, it's a set of 11 stainless steel knives that can cut through leather, that can saw through dry wall, that don't dull or break. At least that's what they say in the infomercial. And they're only $30! That's a great deal, right? But alas, I couldn't bring myself to pick up the phone and call, because these days that $30 is better spent elsewhere. Like on groceries, or a gallon of paint. I'd just have to suffer it out with the knives I've been using for years, that can barely cut through warm butter, but do the job just the same. Imagine my joy when my step-sister handed me two belated birthday boxes filled with not only the 11 Miracle Blade III knives, but also an extra set of the steak knives and the butcher block to display them all in, standing tall and proud and sharp and brand new on my countertop. I haven't tested them out on flying pineapples or leather shoes, but they sure worked well on potatoes and onions when I was making dinner tonight. I used the "Rock 'n Chop" to cut me some french fries and slice me some onions. And the steak knives worked wonders on fresh strawberries. No crushed, mushed berries, just even, round slices. I can't wait to use the "Chop 'n Scoop" on some fresh parsley, or the "Slicer" on a fresh loaf of bread. We'll see if these things are really as sharp and useful as the infomercial says they are. They're definitely going to get their workout from me, that's for sure. I might even buy a pineapple and have My Love throw it at me to see if the slicer can slide right through it or if that's just the magic of TV. Either way, they work much better than the my pre-Miracle collection. And what about those old knives that are in my drawer right now? What should I do with them? I'd hate to give them to someone else knowing they're only good for sawing through cooked cabbage. I'm thinking they'd make a nice set of wind chimes, or a beautiful piece of industrial art. My mom called today and said, "I'm coming down tomorrow." I was a might-bit surprised, as it's a 6 1/2 hour drive, and a might-bit anxious, as I don't really have any room for guests (no bed in the guest room which has been taken over by all of the things I haven't found a place for yet). Turns out she's going to ride down with my step-sister, who's bringing my nephew down to visit his grandparents for Spring Break next week. So tomorrow morning, I'll be hanging out with my mom! Despite the fact that I have "no room at the inn," I'm really excited to see her, my step-sister, and my nephew (although I won't really get to see much of any of them). This will be their first visits since I bought my house, so they'll get to see it (and the slow progress I'm making in decorating it). It will also be the first time I've seen them since Christmas. I'll get to spend all day Saturday with my mom, and we'll meet back up with my sister for dinner. They'll only be here for hours, really, but I'm sure we'll make the most of it. What a great weekend surprise! Now, I've got some cleaning to do! Dannielynn's daddy is Larry Burkhead. There. Now we know. Can we please, oh puh-lease, stop hearing about the sorted details of Anna Nicole's life, death and addictions? I hope that poor little girl is able to overcome the legacy that her mother has left behind. And I hope that the people in her life do what's best by her. Now go away. Leave. Her. Alone. Time's short so I'm going with bulleted lists today. Remailed my first essay to a new set of Literary Journals, since everyone in the first set sent me such nice form rejections. I reworked my cover letter a bit and sent it on its way. Mailed out two other essays, each to its own set of publications. Did some basic character sketches for a story I've had floating around in my head. I've been doing well with my 5-hours-per-week writing goal. I didn't meet it last week because of wedding trip preparations and the weekend away, but I met it the first week, and I'm plugging away at it this week. My goal of getting a website up and running has jumped to the top of my list of priorities, so I'm spending some time gathering pieces for my portfolio and writing some general content. I'm feeling healthy, happy and focused. My Love's birthday was Tuesday and we're hoping to do something special this weekend--not sure what, we're going to be spontaneous. Things at work are going well, mostly because I do what needs to get done while I'm there and worry about what I need to do when I get home, when I get home. (What a concept, huh?) I realized that spending my whole day thinking about all the other things that I could, should or want to be doing is not the most efficient way to use my time. And it doesn't excatly make life at work pleasant. I've been thinking a lot about the importance of having a community of people in your life. 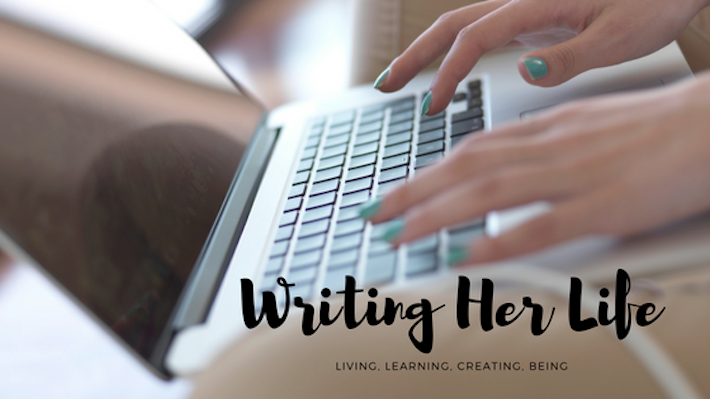 Because I'm so busy these days, and I find the thought of writing a blog post and then editing it and formatting it for two different blog environments and posting to two different sites almost unbearable, I've been a bit lazy on the blogging front. I'm trying to break through this. 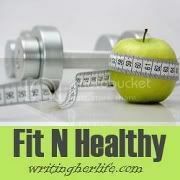 I'm considering making this a writing/life blog and making my Spaces blog a health/weight loss blog. I'm not sure how that would work out because so much of that stuff overlaps, but I figure it can't hurt to give it a try. There's still the chance, if all else fails, that I'll be moving to Blogger-only mode, but I'm going to continue posting on both blogs for now. Thanks for sticking with me through this dry spell! **Note: It just occurred to me that I didn't post my last entry at Spaces here. (See bullet point 1 under "On my blogs".) Check it out if you're interested.